Whether additional products and services are being offered to the caller. 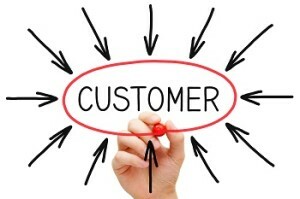 If any of these interactions with customers are not handled correctly, it could mean lost business. So, call recording can be an excellent source of training opportunities for your team. Even if you don’t have a dedicated staff for listening to recorded calls, selecting a few calls each week to review can help you stay in touch with the customer and better anticipate their needs. Call monitoring, on a live or recorded basis, can also help you measure the effectiveness of your customer-facing employees. Interactions via phone are often key in a customer’s decision to do more business with your organization. Having well-trained, customer-friendly staff can make a huge difference to your bottom line! Just keep in mind some of these stats compiled by Salesforce to reinforce the need for excellent customer service! Have you found call recording to be beneficial in your organization? If so, please share your experience in the comment section below. Or, if you’re ready to add call recording to your Halloo account, email us at support [at] halloo [.] com. This entry was posted in Customer Service, Small Business and tagged call recording by Jim Li. Bookmark the permalink.